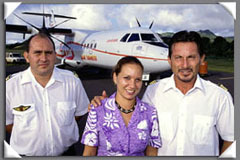 Air Tahiti is the principal domestic scheduled airline in Polynesia. 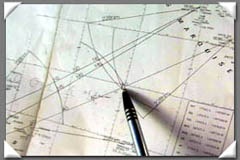 Service was started in 1953. 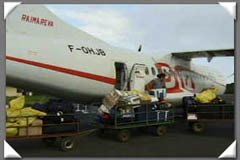 The airline operates a fleet of 10 aircraft and serves 38 islands from its base at Papeete's International Airport. 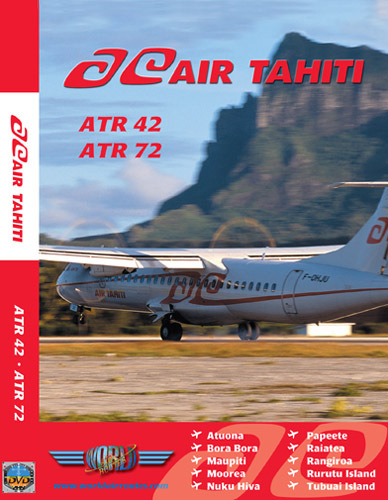 Air Tahiti is the first airline in the world to have obtained EROPS (Extended Range Operations) for its ATR aircraft, one such flight is included on the program. Air Tahiti is an airline I was never too familiar with, but after seeing the preview video of this airline, I couldn’t resist the urge to find out more about this airline and the islands of Tahiti. Let’s see what makes this title such a great product. From the very beginning it was clear that this DVD would be one of the best in terms of scenery. 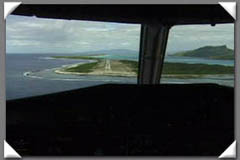 The DVD starts off with a clip of the ATR taking off (Perhaps at Papeete or Bora Bora). 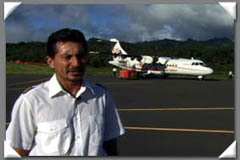 We are then given more clips of the ATR in action before the first flight from Papeete to Rangiroa onboard the ATR-42. One of the highlights of this DVD is the lovely view of the Pacific ocean and tropic-like coastlines that remind me so much of the Caribbean. 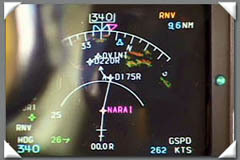 Out of all the turbo-props created, you can truly see why the ATR-72 and 42 series were selected by this airline. 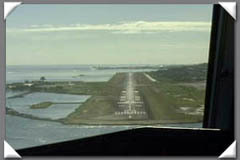 Many of the airports featured are positioned in odd locations with very short runways; it would require an aircraft that has outstanding performance to fly in and out of them. 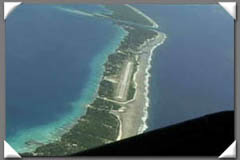 Some of the airports which viewers will enjoy seeing are Rangiroa, Atuona (which is situation on a mountain cliff) and Maupiti which is one of the most beautiful of all. 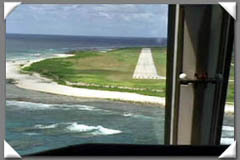 Other features of the DVD are cabin views for various flights and the Airports staff who are dressing in shirts and shorts. 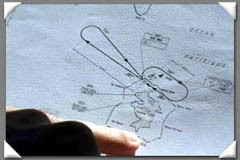 Coming back to the aircraft itself, while there is no actual cockpit presentation; the crew periodically takes the time to explain various facts about their operations and flying procedures. 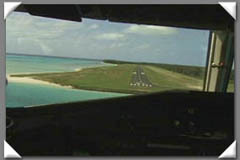 For example, during one of the flights, the Captain explained to the viewers their ETOPS routing since some of the islands are very far apart. 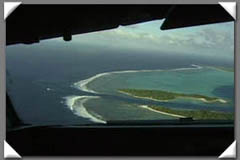 Finally, throughout this DVD, Just Planes has added periodic interesting facts about the islands and atolls being flown over and various clips of Bora Bora and the daily activities there. I think by far this is one of the most visually appealing DVDS available and I can’t imagine a reason not to add this to your list of DVDs. 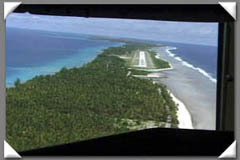 At the end of it all I was not only satisfied by the performance of the ATR but I was also left with a strong desire to someday visit the islands of Tahiti. For me this DVD is all about the scenery and makes a nice addition beside the Air Tahiti Nui Airbus A340 DVD in my collection. 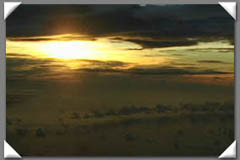 I felt being in a turboprop at lower altitudes allows us to appreciate the scenery in more detail. Good job on this program. This is my first DVD from your company and I must say I'm impressed. I will be buying more cockpit DVDs. 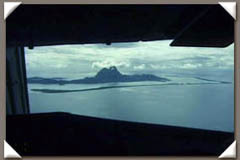 As a former Twin Otter captain, I appreciate the Air Tahiti crew's efforts in providing circling and overhead visual procedures into the airfields. 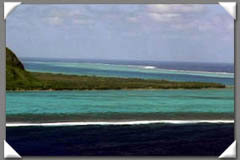 The scenery is truly a God's eye view of paradise. I'm sure those onboard the aircraft also enjoyed this. This DVD is great Value. Keep up the great work. 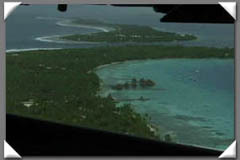 I really enjoyed the Air Tahiti DVD that I received as x-mas gifts! 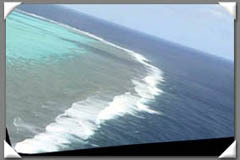 Each of these programs are fully loaded with awesome scenery - sparkling aqua water, green islands, white beaches..............and this scenery is complimented nicely with great cockpit tours, walkarounds, and info from the airline personnel. 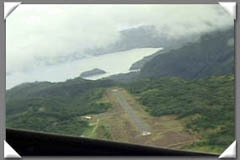 The flights in the Twin Otter, Islander, and ATR's are particularly scenic. Thanks again - I will be re-watching these over and over again! Superb DVD. 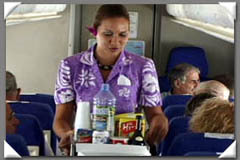 I have many of your DVD's and I still think Air Tahiti is one of the best. 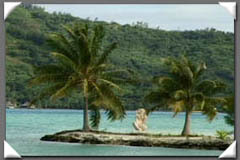 Scenery of French Polynesia is unmatched. 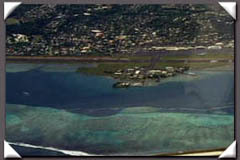 Bora Bora landing with all the beauty of its lagoon is breathtaking. Thanks for great DVD. 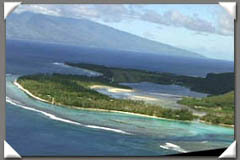 I just received your 2 new programs from Tahiti. They are wonderful. Having just returned from that paradise myself and flown on those 2 airlines these are great souvenirs of the most beautiful place I have ever seen. 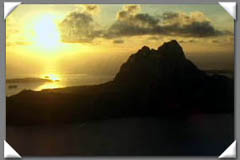 Plenty of that breathtaking scenery is shown on the programs and I enjoyed seeing some destinations in French Polynesia that I did not get to see on my trip. 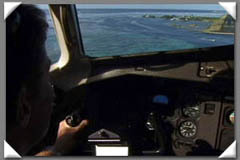 Also enjoyed the cockpit and cabin scenes and on Air Tahiti Nui I had the same 2 Captains I feel like these DVDs were customed made for me. Thank you so much and no one should miss these programs. 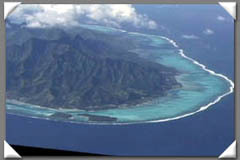 Air Tahiti, great piece of work. 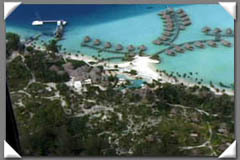 Enjoyed Bora Bora. 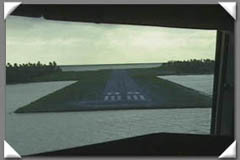 The landings and takeoff's were super. Thank you! 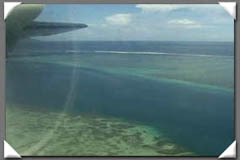 The "Air Tahiti" DVD is absolutely great. Traveling from isle to isle is fantastic. Video's and sounds are superb. 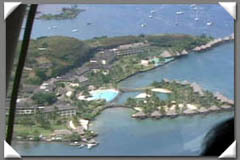 I highly recommend Air Tahiti DVD and World Air Routes.